Furniture reupholstery is an art. 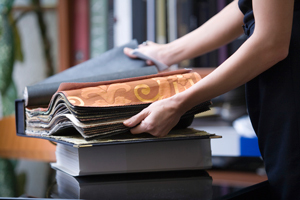 For this reason, you must select your upholsterer with great care. After all, the quality of workmanship impacts the finish as well as the lifespan of the furniture you are having redone. Our experts have outlined some important dos and don’ts for you to keep in mind. Look for an experienced furniture reupholstery service. Skill develops with years of practice. The number of years spent in the business is one way to determine the quality of work you can expect. Examine the level of specialization. Especially if you intend to have vintage or antique furniture reupholstered. These items require special care and work experience. 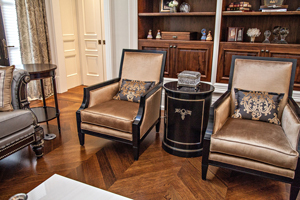 An upholsterer who works with new furniture might not have the knowledge and skills to handle these delicate pieces. A furniture store dealing in vintage products is a safe option. Take a look at fabric swatches, wood polishes etc. and determine exactly what you would like. Request references. Speaking to other customers will give you some idea of workmanship and service quality. Get everything in writing. Make sure you communicate your expectations and understand the service charges. It is also a good idea to discuss what the next steps may be if you are not satisfied with the result. Take anything for granted. Explain exactly what you have in mind, especially when it comes to the alignment of patterned upholstery. You must also ask about the upholstery process they follow. For example, ask whether or not they will perform minor repairs and if these will be included in the cost or charged separately. Hesitate to ask questions. Foam density, fabric padding, trim, etc. are important points to discuss. Having a chat before the work is done often saves you a lot of regret later. Base your decision solely on price. You get what you pay for. If a service comes really cheap, know that it will be cheap for a reason – and not a reason that will please you! The reupholstery craftsmen at the Carrocel furniture store treat your items like works of art. You can count on our expertise to bring your antique and vintage furniture back to life again. Visit the Carrocel showroom in Toronto for expert furniture reupholstery services that revitalize your furniture right from its foundation. Our reupholstery process offers a unique combination of skilled workmanship, highest quality materials and careful inspections at every stage. It also includes tightening and adjusting the frame, springs, and supports as required. We don’t just recover furniture but also restore its original beauty and value for you to enjoy and appreciate for many more years. We will be happy to discuss your reupholstery project. To revitalize your vintage items with our skilled reupholstery services, please visit our furniture showroom. Call us at 416-999-2525 or contact us online for more information.